Frank Turner will be touring the UK in early 2019 in support of his seventh studio album Be More Kind. 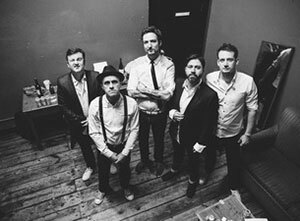 Frank Turner and his backing band The Sleeping Souls will play shows in Birmingham, Manchester, Leeds, Glasgow, Bournemouth, Cardiff and London during the tour. Jimmy Eat World will support Frank Turner during the tour. How to buy Frank Turner tickets? Tickets for Frank Turner's UK tour dates went on general sale on Friday 27th April, priced from £35.00 plus booking fees, at Ticketmaster.co.uk.